It only seems like yesterday that the kids were out of school for another summer. But on Tuesday Sept. 4 the kids are officially back in school for another year. A few parents may be breathing a sigh of relief and some kids may prefer to continue their holidays. But I bet most kids will be happy to get back to their favourite teachers and reunited with their friends. School in district #68 gets underway on Sept. 4 at 11:00am with dismissal set for 12 noon. Gotta break the students and teachers back in gently! There are some exceptions to the start times which you can check out at the School District website by clicking here. 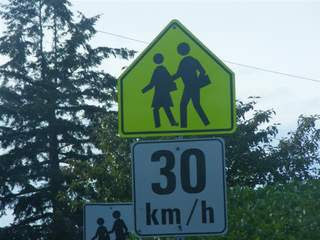 For information about back to school for Sept. 2010 use this Nanaimo Info LINK.